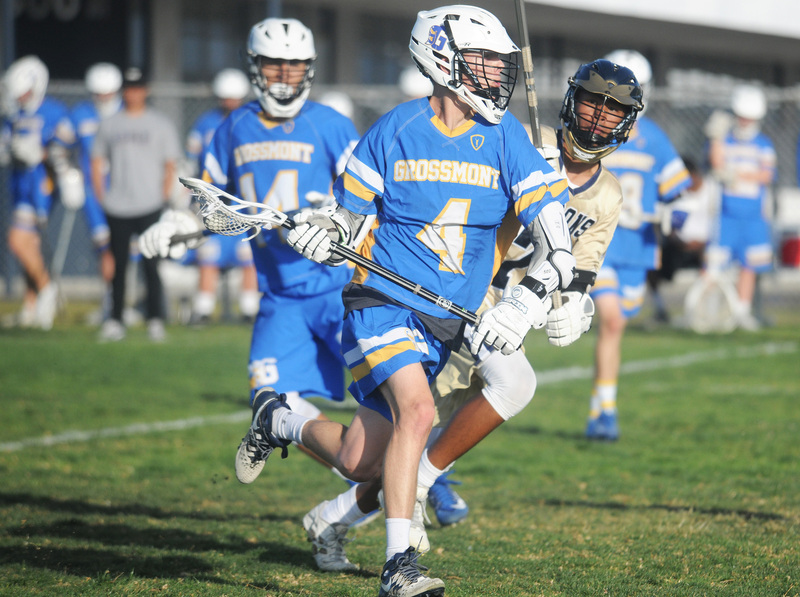 The Grossmont High School boys lacrosse team extended its unbeaten record to start the 2018 spring season to 7-0 following Monday’s 16-11 non-league victory at Bonita Vista High School. The Foothillers have won the last four Grossmont Conference championship titles and entered this week 6-0 in league play in search of another league banner. 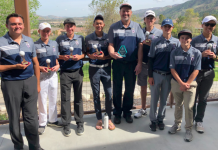 The Foothillers faced off the season with six consecutive wins against East County foes, defeating Valhalla in a 12-1 victory on March 2, followed by wins over Helix (15-2) on March 7, El Capitan (18-7) on March 9, Monte Vista (19-1) on March 12, Granite Hills (6-5) on March 21 and Santana (11-2) on March 23. Monday’s game was the first of three games this week for Grossmont. The Foohillers were scheduled to face off second-round league play with a game at Valhalla on Wednesday and are set to host Helix on Friday at 7 p.m.
Monday’s game remained close until the Foothillers began to pull away in the fourth quarter. Grossmont led, 5-4, after the first quarter and 8-7 at halftime. The game was tied, 9-9, at one point in the second half before the visitors reeled off seven of the game’s final nine goals. Ryan Crews led the offensive assault in Monday’s game with two goals and six assists while Colton Nevins tallied six points on five goals and one assist. Cody Young contributed four goals and one assist while Cameron St. John scored two goals. Crews also collected five ground balls to aid the defensive front. Alex Golojuch topped the Foothillers with eight ground balls while St. John scooped up six ground balls. Zack Jones, a senior midfielder, and Golojuch, a junior LSM, lead the team as captains. 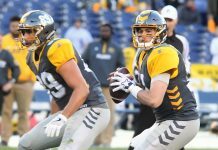 Miramontes said it took a while for his team to get back in rhythm following the two-week layoff for spring break. “Hats off to Bonita Vista – they fought hard,” said Miramontes. Jacob Peters led the Barons (1-1 in Mesa League play, 4-7 overall) with four goals while Billy Esparza scored three times on 11 shots. The Foothillers have a number of marquee games coming up during the second half of the season. Grossmont hosts Patrick Henry on April 23, entertains Granite Hills on April 27 and hosts Eastlake on April 30. The Foothillers close out regular season play with a home game against Canyon Crest Academy on May 4. Granite Hills entered this week 5-1 in league play, 6-3, overall, while El Capitan carried a 4-2 league record (8-3 overall) into this week. Valhalla entered Wednesday’s home match against Grossmont 3-3 in league play, 7-3 overall. Granite Hills defeated visiting Valhalla, 14-0, on March 23. 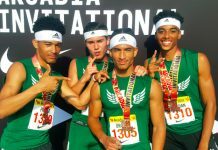 Miramontes has served 13 years as head coach at Grossmont. The Foothillers advanced as far as the CIF semifinals three years ago, losing 8-7 to The Bishop’s School. “I think any number of teams could take it,” he said.